Retro-chic meets modern style with this classic pair of Braverman Mixed-Media Sunglasses by eyewear powerhouse Oliver People's. 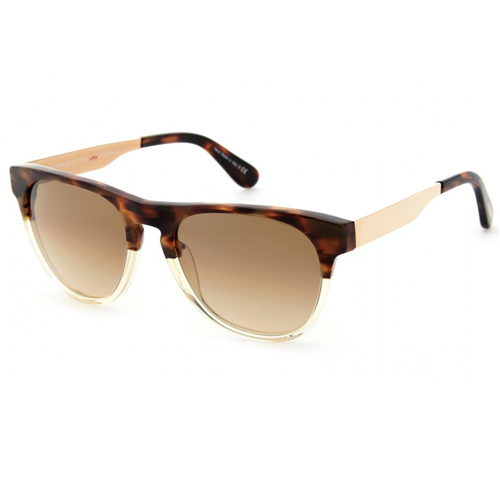 The 70s style glasses feature a contrast tortoise-shell halfway around the lenses for an ultra-hip look. Try pairing them with high-waisted denim cut-offs, a crop top, and boots for a hipster look that is effortlessly cool. Try it here, with ViewTry!